THE INTERNATIONAL SENSATION FROM KOREA’S MILLION-COPY BESTSELLING AUTHOR YOU-JEONG JEONG. For a thriller this is a very slow burner It is told in a very subtle way. If you are used to having your thrillers dished up on a plate and then washed up for you. I think you will be very disappointed!! But if you don’t mind working at the book you will be pleasantly surprised. 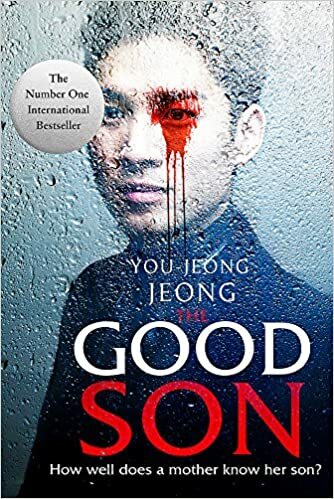 The narrator Yu-jin doesn’t give much away you have to be patient while you are told what has happened to his mother through a series of flash backs. The further you get into this novel the more you are taken on a a dark and sinister path. Which was terrifying.